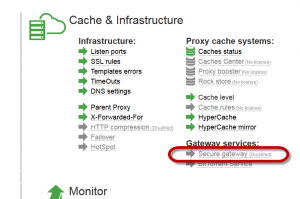 Secure gateway is a feature that allow forwarding network packets only on a white-listed ports and protocols. 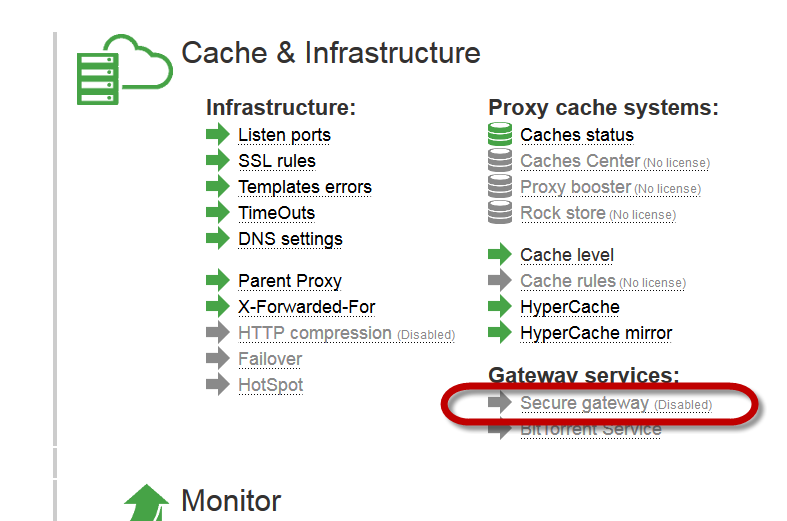 It is used when Artica is defined as a gateway ( Transparent proxy ) in order to limit peer-to-peer accesses. It is available on Artica v2.21.092811 or above. 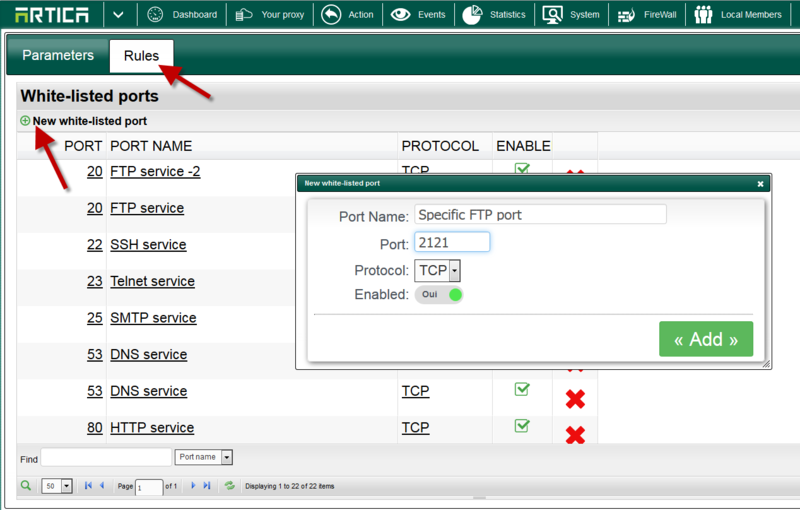 The Rules tab allows you to define a list of remote ports allowed to be forwarded to Internet. 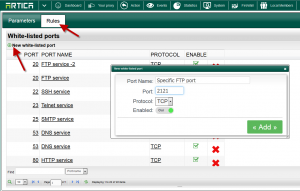 Artica add automatically some standards Internet services in order to help you creating rules. ← Proxy is restarted every day at 7h ?